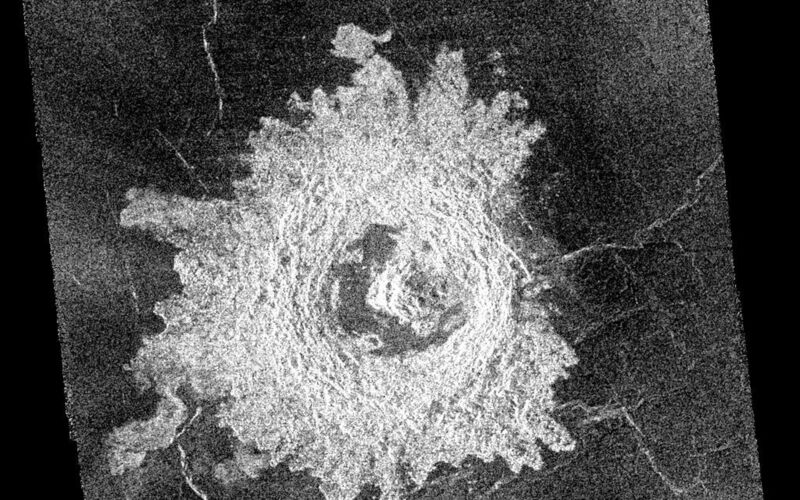 This complex crater in the Navka region of Venus was mapped by Magellan on September 26-27, 1990 during orbits 459 and 460. 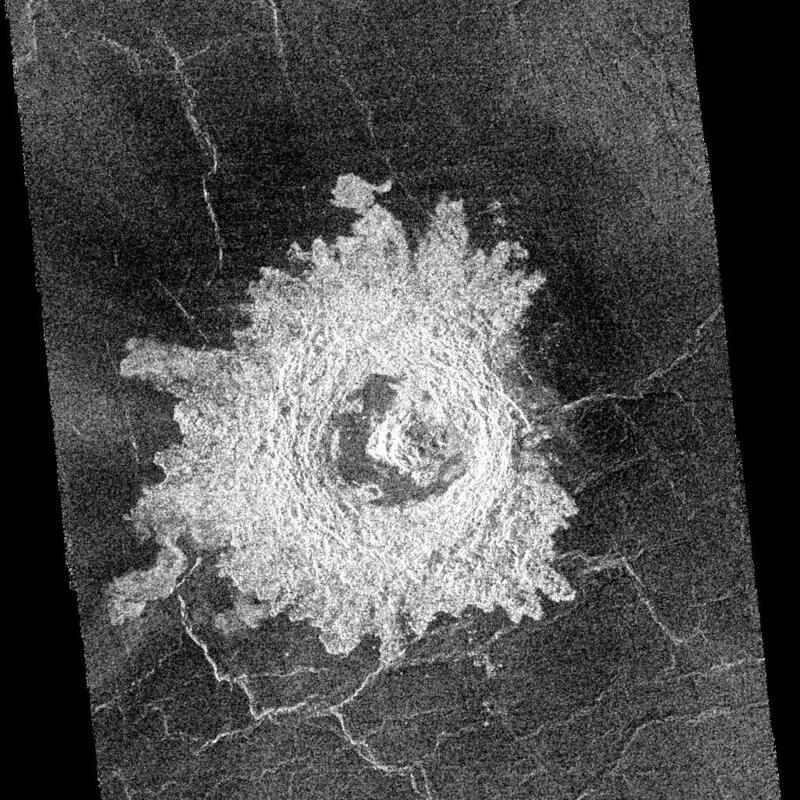 The crater has a diameter of 22 kilometers (13.6 miles) and is located at latitude 5.75 degrees south, longitude 349.6 degrees east. 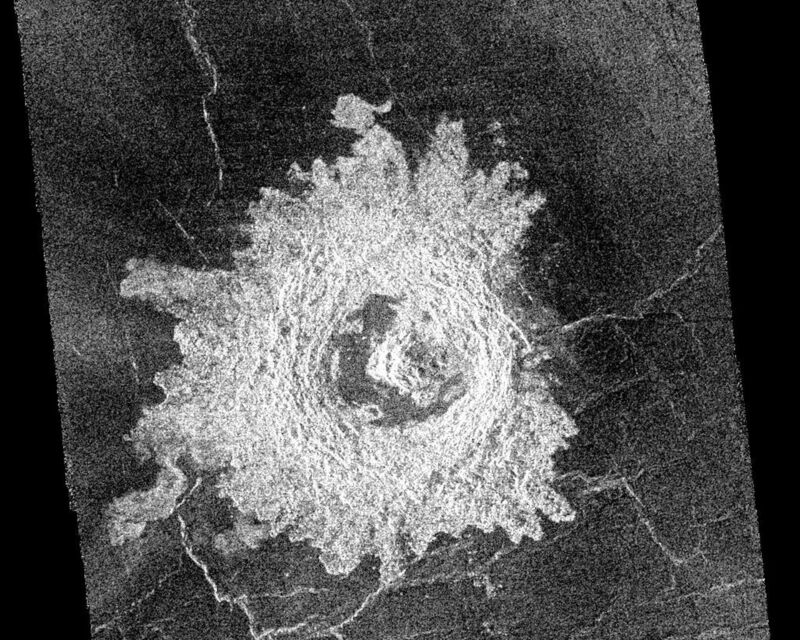 It has the terraced walls, flat radar-dark floor, and central peak that are characteristic of craters classified as 'complex.' The central peak on its floor is unusually large. Flow-like deposits extend beyond the limits of the coarser rim deposits on its west and southwest. 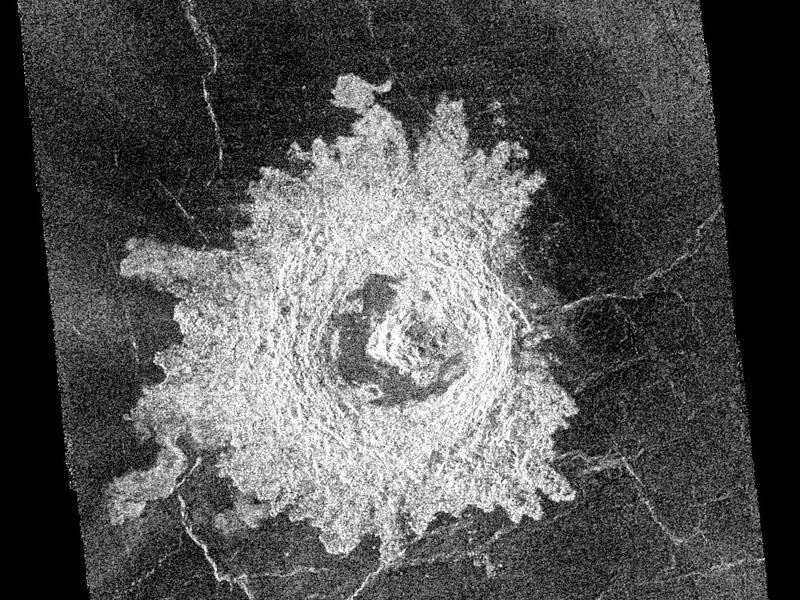 Like about half of the craters mapped by Magellan to date, it is surrounded by a local, radar-dark halo. Buck, the proposed name for this crater honors Pearl S. Buck, American author (1892-1973). Proposed names for all features on planetary bodies are provisional until formally adopted by the International Astronomical Union.